Having hosted our website on the SiteGround GoGeek Plan for more than a year, we are ready for our honest SiteGround GoGeek Review. If you have been shopping around for WordPress Web Hosting Plans, you probably would have heard about SiteGround. The latest update of Siteground’s proprietary SG Optimizer Plugin is really quite awesome.We used to run the SG Optimizer along with an array of other Caching Plugins to Speed up WordPress. But with this tool, all we need is one plugin. Best of all, it’s Free! 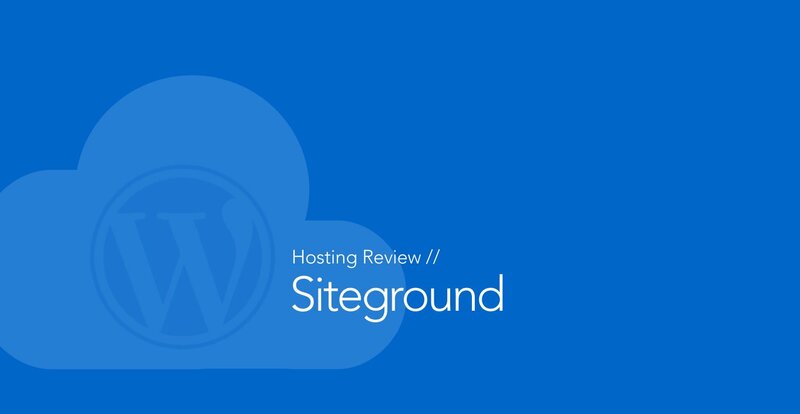 SiteGround is one of the recommended hosts for WordPress, Drupal and Joomla. Since 2004, SiteGround has established itself into one of the top hosting companies around. Trusted by 1,800,000 domains, SiteGround markets itself as a fast web hosting company with Managed WordPress Expert Support. You may be wondering what is the fuss about. Truth to be told, having tried quite a few web hosting companies, SiteGround is one web hosting company that offers a ton of benefits and very little faults. We definitely highly recommend SiteGround to our readers. Here are some reasons why SiteGround is the Best Web Hosting for WordPress, Joomla and Drupal. Siteground shared web hosting plans are great for businesses and blogs. Offering inexpensive prices and value for all shared hosting plans. If you are planning on moving an existing site, Siteground offers free professional website migration. Do note that the SuperCacher is not available to StartUp plan. Grab the sweet 60% Off on Shared Hosting! Website loading speed is now one of factors that determines the search ranking of a website. Especially with a new website or blog, the speed that the website loads is crucial. A research from Moz concludes that “Time to first byte” or TTFB directly correlates to search engine rankings. So how does Siteground perform? We are currently on the Siteground GoGeek Plan, which is a Semi Dedicated Hosting plan with more resources. Lets take a look at our test TTFB scores on a test domain that is running on the default WordPress installation and the Twenty Seventeen Theme. Result: 252.36ms TTFB. That’s quite a good / decent result. Now lets run the SiteGround SuperCacher services that comes with the GrowBig and GoGeek plans. Lets run the test again. Wow 53.06ms. Let’s optimize it a little more and see how fast it can go. Heres a screen shot of the TTFB from wpjunction.net to see the actual TTFB of a full website with content and all. 40.26ms. Extremely fast. However, please do note that network latency increases your TTFB the further you are from the data center. You should choose a data center that is geographically close to your target audience. Fortunately, Siteground allows you to choose your preferred data center when you sign up. You can choose from a North America Server based in Chicago, Europe servers in London, Amsterdam or Milan and Singapore for reach to the Asia Pacific region and Australia. Apart from the quick response time, Siteground also will help you with popular script extensions, plugins and templates, investigate and fix application-related issues and requests that other hosts turn down as beyond their scope. Siteground support are experts in WordPress. So if you have WordPress problem, you don’t really need to hire a developer to help you. Siteground boasts Handcrafted Solutions for 99.99% Uptime. Technologies used- Linux Containers (LXC), Pro-active Server Monitoring, Own Backup System, Unique Anti-bot AI and Secure Account Isolation, helps Siteground achieve superior server uptime. Siteground understands that operating a shared hosting plan is like stacking a house of cards. A hacked account or resource hogging process may affect other customers. That’s why they have employed custom made technologies for account isolation and resource optimization. Bravo. Siteground makes available to its customers the latest technologies to speed up their websites. In essence, giving you the best tools for your website to succeed. Solid-state (SSD storage) drives for hosting plans. It does not matter which hosting plan you choose, be it the cheapest ($3.95/month StartUp plan) shared hosting or a more pricey cloud hosting plan. All of Siteground’s shared and cloud hosting plans comes with SSD drive storage. SSDs provide for a 1000x increase in input/output operations as compared to regular drives. But the drawback is that currently SSD has a lower disk capacity. Nevertheless, Siteground provides for 10GB - 30GB of storage for shared hosting. Which is more than sufficient for growing websites and blogs. NGINX, a fast and lightweight web server, is used to server to serve up static content like images, scripts and fonts. This setup effective takes the load off Apache, the main web server. Although this setup is not uncommon, it helps to deliver web pages more efficiently. HTTP/2 is the newest network protocol, which significantly speeds up loading of websites in the browser. Siteground is among the first hosts to support it on all their servers. To utilize HTTP/2 your website needs to have an SSL certificate installed (https). Siteground has made this technology available for every website on its servers with Let’s Encrypt free SSL certificates. PHP7 enables code executions run faster. Siteground is one of the first web hosts to implement PHP7 for users. And they are continually upgrading as and when new versions and technologies become available. As of writing, the latest version that’s straight out of beta (version 7.2, released 30 November 2017), is already available for customers. Speed up your website with even further with their handcrafted in-house developed caching technology. Basically SG Cacher loads your web pages into the server memory that allows even faster access to your pages. As for Memcached, it is a technology that caches databases queries for faster subsequent access to the page. Unlike most shared hosting providers do not have Memcached available for shared hosting plans, Siteground gives access Memcached enabled databases their shared GrowBig ($5.95/mth) and GoGeek ($11.95/mth) plans. Here’s what you can get from Siteground with every hosting plan. Cloudflare CDN services has a free tier so anyone can sign up so this is not really a big deal. 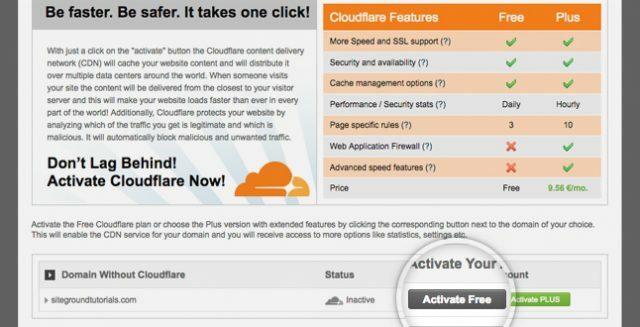 However, Siteground has integrated an easy setup option via cPanel so that you need only to activate it with one click. 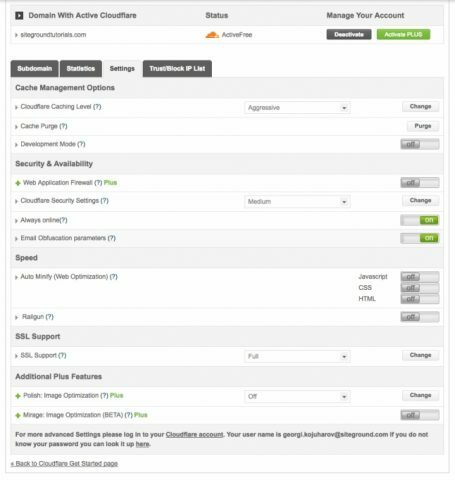 Manage Cloudflare settings easily with Siteground integrated Cloudflare panel. Nowadays, Google checks if a website is on the secured https protocol to determine its search ranking. Let’s Encrypt is a is a free, automated, and open Certificate Authority that any website can utilize. However, the drawback is that the certificates expires in 3 months. And when that happens, you have to regenerate your certificate. And the process is cumbersome. Siteground addressed these problems by integrating a custom made software to renew your certificates automatically. In essence, giving you a secure SSL certificate that does not expire! Same thing, all you need to do is click “Activate”. Super convenient. Have and existing site and need to migrate? No worries there. 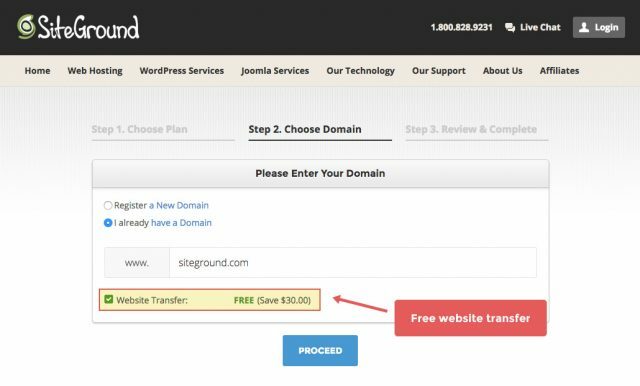 While other hosts may charge you in excess of $100 for a one-time migration, Siteground offers this for free. Just sign up with Siteground and drop them a support ticket and they will so the rest. 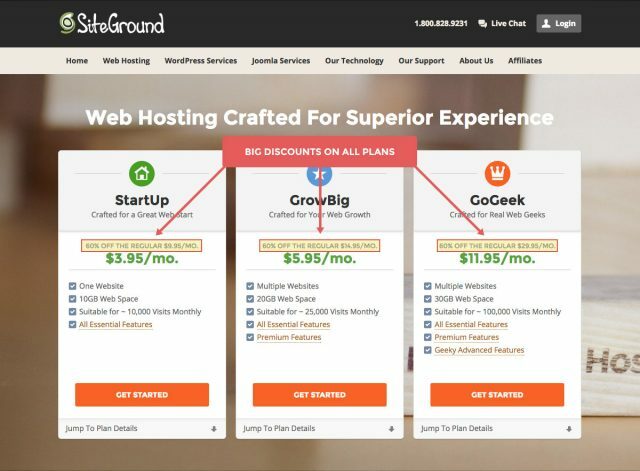 For all shared hosting plans, Siteground offers you a refund within 30 days should Siteground does not meet expectations as stated in their Terms of Service. In our experience, Siteground’s GoGeek Plan has been consistently stable with no noticeable downtime. Fast website speeds and low time to first byte. We recommend Siteground with confidence! We like to hear some of your reviews too! Do drop them in the comments section below. and if you find our article useful, please feel free to share! In our experience, Siteground's GoGeek plan enables our website to be blazing fast with no noticeable downtime. At around $11 a month, it is extremely affordable. So far we are extremely satisfied with Siteground's services. However, do make sure to choose your desired data center location for optimal speed.